This post includes affiliate links for your convenience. For more information please visit my disclosure page. 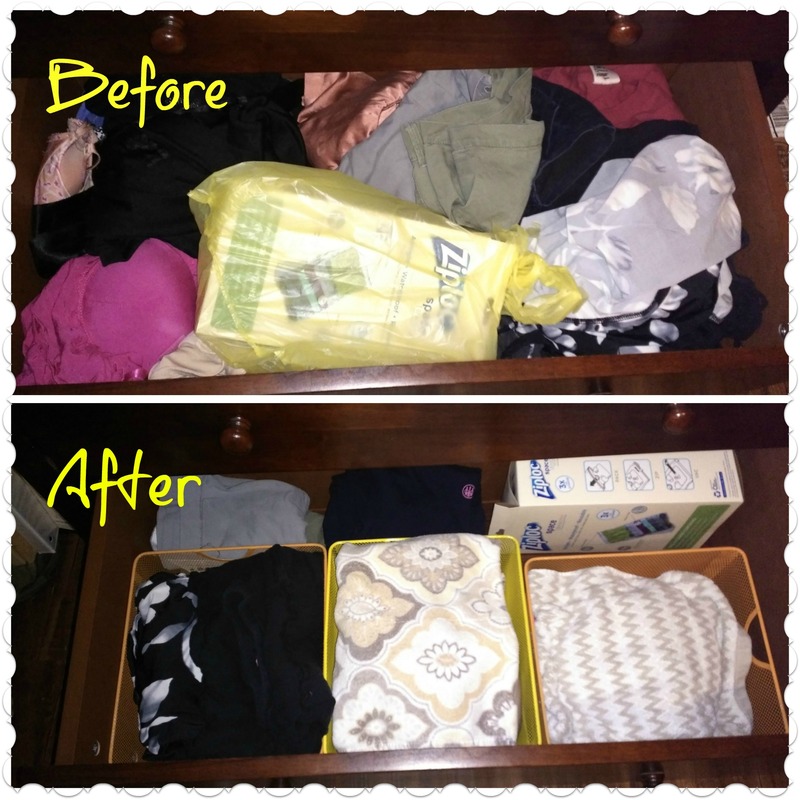 Decluttering in 30 minutes can be done! Ok, maybe not the entire house but working on one area for just 20-30 minutes and in no time my house is getting decluttered. My latest conquest? The clothes dresser. The dreaded clothes dresser. It had gotten a lot out of hand. 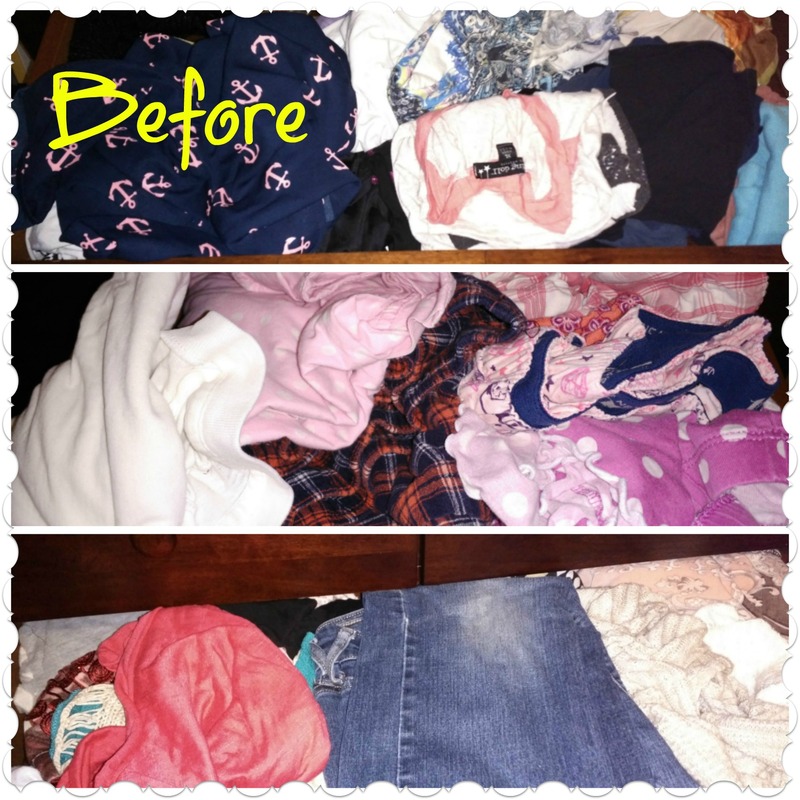 I was just wading up stuff and stuffing stuff in there on the fly…. a pair of jeans, three dresses, my kids’ socks, old coupons. Anyone else do this? It was like a junk drawer on steroids. The final straw was thinking I had no shirts left that looked cute on this oversized belly body but had a dresser full of drawers stuffed to the brims! 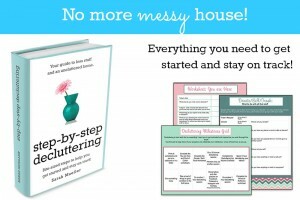 Do you remember my posts about using the book and printables from Step By Step Decluttering? The kids’ bookshelf had gotten out of hand and this book helped me quickly clean it up. Then I cleaned the scary coloring book trays under my china hutch following the methods outlined in the book. We are using the coloring books and activities we kept so much more since the kids don’t have to dig through a bunch of stuff to find what they are looking for now. Ok, so back to not having a shirt to wear. Alright… a cute shirt. I found tons. 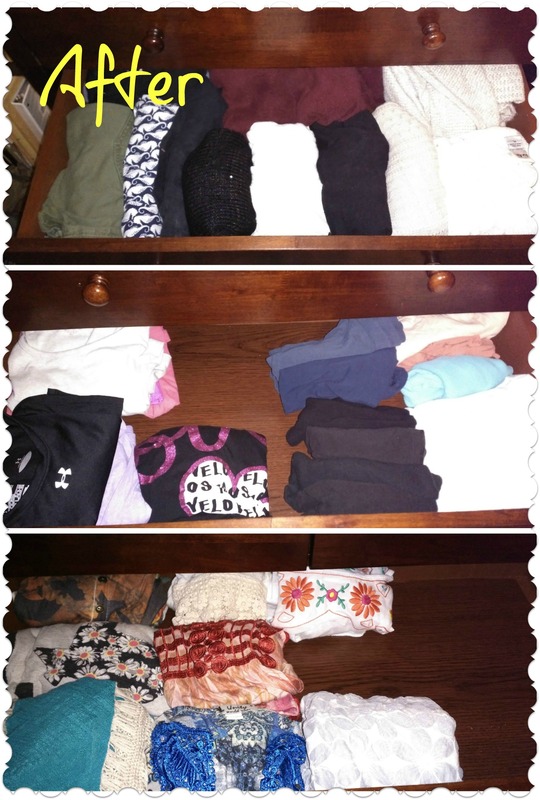 I followed the 20 minute rule from the book and step the timer, but this time I used 30 minutes because I needed to quickly get it completely done… take everything out of the drawers, sort for kept, toss, and save, and then put it all back in an organized way. A lot of motivation came from knowing I had a time limit to stick to and knowing that I could let things go that I was emotionally attached to but didn’t need any more. Who doesn’t want a little silly drama??? Ok, in reality the outside wasn’t at all as intimidating as inside the drawers until I added the crazy eyes and fangs. LOL! And after 20 minutes of decluttering, then reorganizing… Tah dah! It is soooo much easier to find things now! I thought I didn’t have any cute shirts to wear before decluttering the scary dresser. Turns out I have a ton of cute tops that still fit and look good and a ridiculous amount of tank tops (middle picture on the right). Happy Dance!!! (Under those towels are my bras – just didn’t feel like sharing those with the internet world!) It is sooo nice to be able to find everything so much easier. Getting rid of two grocery bags completely full of stuff is great too! Have you decluttered anything lately? Let me know in the comments below. I’d love to hear more about it! Good for you, I’m also on a decluttering binge these days. It just makes more sense now that we are changing out the winter clothes. I don’t understand people who declutter and all that in January! Your drawers look great!